2013 was a year of gearing up for the biggest feature of the federal Affordable Care Act (ACA) — open enrollment for individuals, families, and small businesses. The 2010 law required that people without health insurance sign up for coverage in 2014 (known as the “individual mandate”) or pay a penalty in 2015 for being uninsured. During 2013 and the first half of 2014, the foundation worked to educate the public, engage community-based partners in outreach to the uninsured, promote Access Health CT (the state’s health insurance exchange) as a resource for people looking for health plans, and advocate for consumer interests. 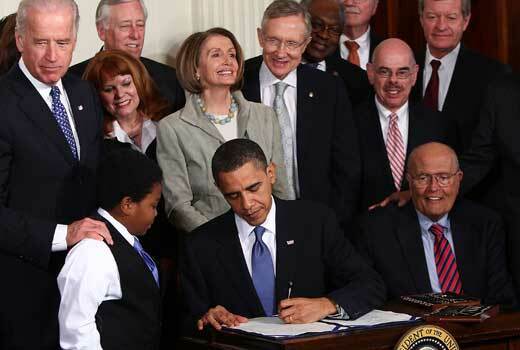 Worked in 2011 to craft the law which created the state’s health insurance exchange, Access Health CT. Served as consumer-friendly panelists in numerous Healthy Chats (public forums) sponsored by Access Health CT. Worked with the CT Library Consortium to develop an ACA workshop for reference librarians, which resulted in the Foundation training 280 librarians in 9 regional workshops. Launched an interactive ACA workshop for the general public, non-profit organizations, and the small business community. This was offered at 30 libraries. Monitored the roll-out of Access Health CT’s first enrollment effort, which included advocacy to make sure there were resources for in-person support for individuals shopping for health plans and that the cost, quality, and design of health plans offered on the exchange took consumer interests into account. Convened allied organizations — community, advocacy, faith, public health, and labor unions — that were involved in doing outreach and enrollment. This allowed the Foundation to share information, leverage resources, and collect real-time feedback on outreach and enrollment efforts. Connected with state, regional, and national networks of organizations involved in the ACA enrollment effort.